Finished in Legacy Oak on select hardwoods and veneers. 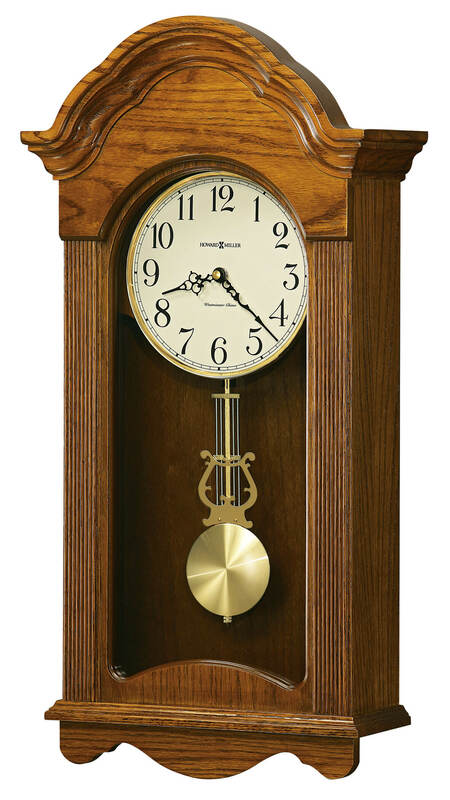 This wall clock features a scalloped arched bonnet and reeded columns. You will save $98.10 (30 %) on this Howard Miller Jayla 625-467.